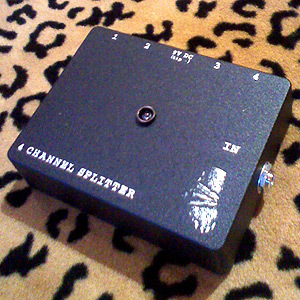 Split your instrument signal into up to 4 outputs for tuners, separate amplifiers or different effects chains. Every output is fully buffered to eliminate any interaction (tone or volume loss) between the channels. Uses standard 9v adaptor or a single 9V battery. There is a 2 week turnaround time on the Splitter because we don't currently have the printed boxes in stock.